There has been GDP growth since 2009 and some mild inflation to go with it. In fact, this is the second longest economic expansion on record. 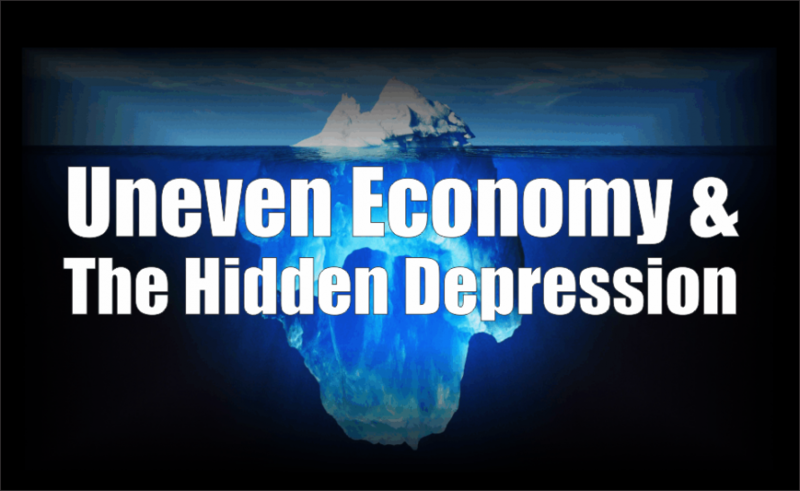 As Robert Shiller said over the weekend (though in the context of warning against complacency), “[i]f the economy manages to expand for 16 more months, the United States will have set a record.” Unemployment is the lowest in history, nothing like the 17% we had by a U.S. Bureau of Labor Statistics estimate a decade after the stock market crash in 1929 and the average of 18% in the 1930s. House prices have come screaming back across the nation. The stock market has increased by more than 15% annually beginning in 2009. And even middle-class wages have shown signs of picking up lately. And yet, even overlooking the opioid epidemic and the 42 million Americans on food stamps (happily down from nearly 48 million in 2013), there are disturbing signs around the country that all is not well. For example, a recent article in the New York Times by Robert Gebeloff focusing on Hunterdon County in New Jersey shows that many suburban and exurban Northeast and Midwest counties have stopped booming. More people are dying than being born or moving in through immigration or migration. Hunterdon County, 60 miles from New York City, is the sixth richest county nationally with a median household income is over $100,000. But young people are having fewer children, and the recession-stalled migration patterns are only resuming in certain parts of the country. According to Geberloff, “Some of the once-fastest-growing counties in the United States are growing no more, and nationwide, the birthrate has dropped to levels not seen since the Great Depression.” Since a recent peak in 2007, lifetime births per woman in the U.S. is down 16%. While births have declined, migration within the U.S. has resumed to pre-recession levels. However, the trend is toward Florida, Texas, and Arizona, which have all seen population inflows. Rural parts of the country have been struggling with these demographic problems for a while now, but Gebeloff’s article shows that they are hitting what have been much more well-off areas now. In Hunterdon County, a 460-acre Merck campus sits abandoned, and enrollment in some school districts is down 20%.